Andreas Brehme (BR Germany, 2.v.re.) encounters Peter Shilton goal to the 1:0, Paul Parker (12) and in the wall, Peter Beardsley, Paul Gascoigne, Gary Lineker and David flat (all England). 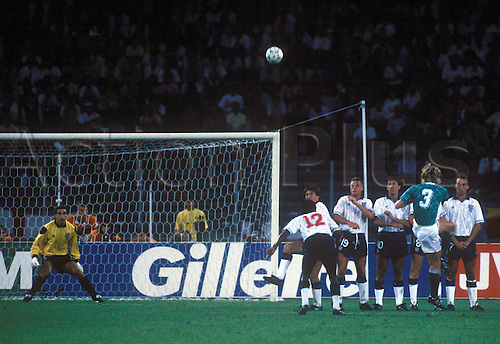 World Cup Semi Final England v Germany, 4th July 1990.